Do you have a passion for compelling and unique digital video stories? Are you looking for a position in which you can contribute fresh, new, concept-to-delivery ideas and be a part of a creative group of professionals producing great digital video for clients and partners? Then we are looking for you! 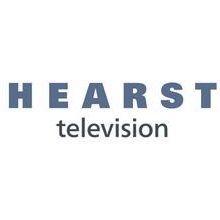 Hearst TV Digital Studios, located in the newly renovated Burlington Station in Omaha’s Historic District has an exciting new opportunity for an up-and-coming marketer. The Digital Studios team is a group of professionals responsible for the production of great branded and editorial digital video content. The Part-Time Marketing Associate would be responsible for helping tell the story of that team— helping to communicate with partners, clients, and stakeholders. We are looking for someone who is wildly passionate about the future of digital video, and who is hungry to be a part of it. The ideal candidate will ooze creativity, and have the tenacity and wherewithal to execute on their ideas. This position will report to the Director of the Hearst TV Digital Studio, and will directly support the Marketing Coordinator. Will be expected to contribute to presentations and materials for clients, partners, and internal stakeholders. This position will play a key role in developing potential branded series titles, concepts, verticals, etc. Will arrange correspondence with current or prospective clients as well as distribution partners. Client facing – This position will help walk clients through presentations; convey the Studio’s creative vision; schedule campaign kick-off calls; and help fulfill campaigns from start to finish. Will keep detailed notes on all campaigns, and maintain tracking of multiple projects and states of production. Available to work 28 hours a week. Basic knowledge of Google Drive, MS Office, & Powerpoint. Excellent written, verbal, and time management skills. Communication is everything.